But on Saturday, he was interviewed by OE24 and without hesitation laid out his ideas. His party, the Freedom Party of Austria - FPÖ - has insisted it is not for an Öxit – that is, Austria leaving the European Union. Hofer makes it clear there are two conditions under which he would call for Austria to do just that, however. One, if Turkey becomes a member of the EU, and two, if the EU becomes too centralized - if contracts are made in which the member states have no influence. 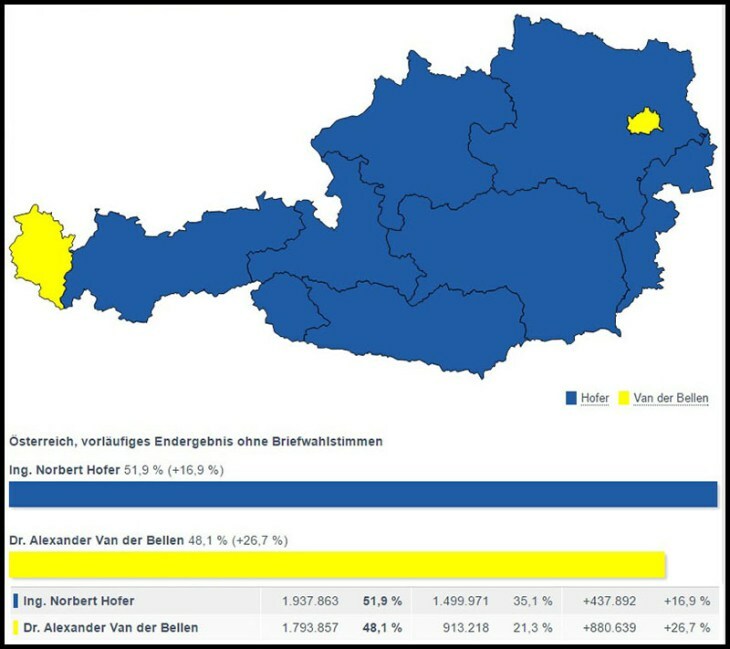 New presidential election for Austria! 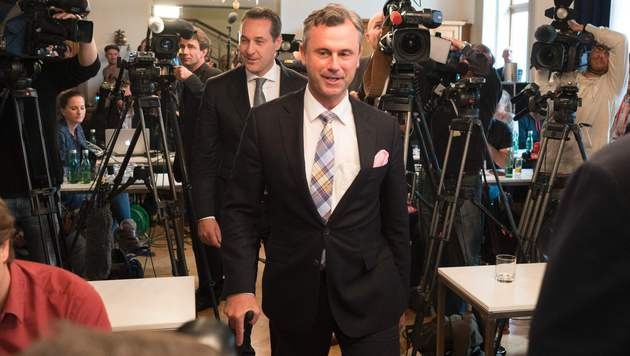 Austria's highest court on Friday ordered a rerun of the country's presidential election, giving Norbert Hofer (FPÖ - left) a second chance at the office after his narrow loss last month. The decision was unprecedented in Austria's post-war history and beyond, appearing to be the first time that a nationwide election has been annulled and a repeat vote called in any European Union country. Read more about New presidential election for Austria! Norbert Hofer (left) and Alexander Van der Bellen share the stage during the Austrian Presidential election campaign in May. As you recall, it was the postal ballots that pushed former leader of the Green Party, Van der Bellen - who ran as an independent - over the line to defeat FPÖ candidate Norbert Hofer. The margin of victory was under 1 percentage point, or roughly 31,000 votes. Strache filed an official challenge at the Constitution Court, saying “Without these glitches, irregularities and breaking of laws, Hofer could have become president. I think a re-election is very realistic." Norbert Hofer and H-C Strache enter the press conference room on Tuesday, May 24. Hofer made clear he would not run for Chancellor himself but would support Strache's bid "with all his personality." In a news conference today, presidential candidate Norbert Hofer and FPÖ party leader Heinz-Christian Strache made statements and took questions. They offered that there would be no protest of the close election result, but Strache said they had received a lot of letters [of complaints] and would follow up on them. “Only then can you tell if there is some truth” about irregularities so many are reporting. Strache also called for a new electoral system with a restriction on the absentee ballot. But Hofer said he could see no trace of “politics” interfering anywhere in the country and requested that Austrians respect the election results. Despite the outcome, he didn't regret his candidacy in any way and called the election campaign an "incredibly positive experience." This is not what I wanted to post here today, but take a good look even if it makes you sick. Austrians and Europe have six years of this refugee-welcoming, super-liberal traitor Van der Bellen in office. I'm afraid his questionable win undermines the patriot movement Europe-wide because hopes were so high. It should not be so readily accepted, and maybe it won't be. 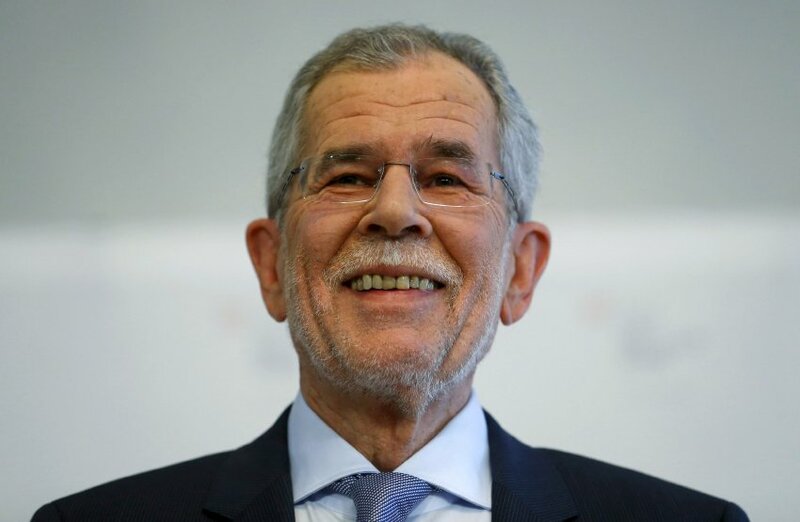 This outcome is incredible to me, and not fully believable, but the FPOe, Freedom Party of Austria, is not contesting the narrow victory of Alexander van der Bellen by 30,000 mail-in votes. I've been following this election news all day, but don't want to celebrate before the winner is officially announced, expected around 3 a.m. my time at the earliest. All FPOe supporters are feeling cautious about what the Left might be up to with the mail-in vote counting, called the postal vote in Austria. THE PRESIDENT OF THE EUROPEAN PARLIAMENT, Martin Schulz (above), warns against a victory of FPÖ (Austrian Freedom Party) candidate Norbert Hofer (see image below) in the Federal Presidential runoff election in Austria on 22 May. It's now only three days away. "If the extremist right wins the elections in Austria and in Europe, this will change Europe's character,"
said Schulz on an Italian political program last Friday. "The vast majority of people in Europe do not want this change. However, they are a silent majority if they accept that those who want the borders will win the elections. Those who are for Europe must mobilize, just like those who are on the other side, "
Norbert Hofer, presidential candidate of the "right-wing populist" FPÖ [Austrian Freedom Party led by Heinz-Christian Strache] has won over 36 percent of the vote in a five-way contest that included the major parties! Exit polls show that the two candidates nominated by the ruling parties failed to even make it to the runoff to be held May 22. This is the first time since 1945 that Austria's president will not come from the Social Democrats (SPOe) or the center-right People's Party (OeVP). Both party's candidates won only around 11 percent. Independent Green candidate Alexander Van der Bellen, 72 (pictured right) did manage to advance to the second and final round with 21 percent of the vote. The independent candidate from the bourgeois NEOS Irmgard Griss got 18.5 percent of the vote. 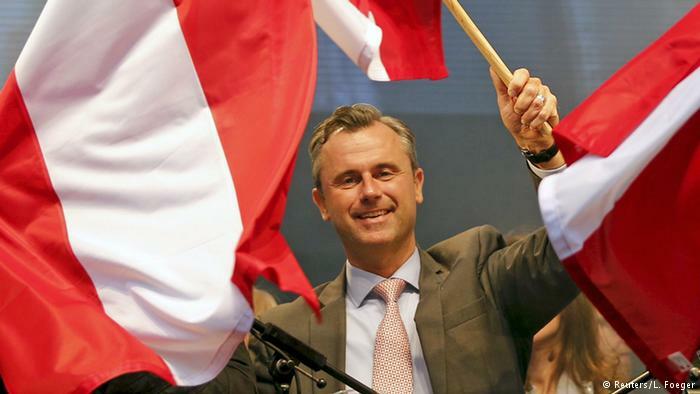 It is a turning point in Austrian politics, with the best-ever performance for the Freedom Party at the federal level since its creation after World War II.